Hello from Metro Vancouver, BC! We are Meraki, another prototype in development with Degrees of Change and InWithForward. 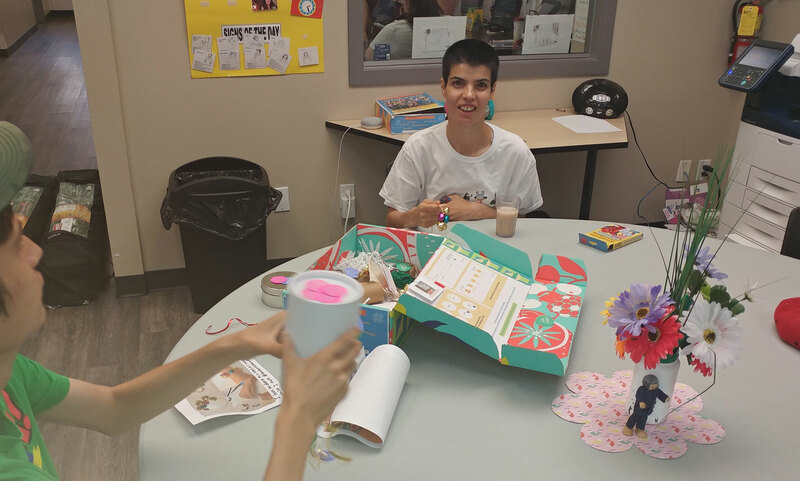 Meraki is part of a collective effort to research and develop new sorts of interactions and practices that bring more meaning, vibrancy, and resiliency to those within social services and the broader community, beginning with persons with developmental disabilities and their families. 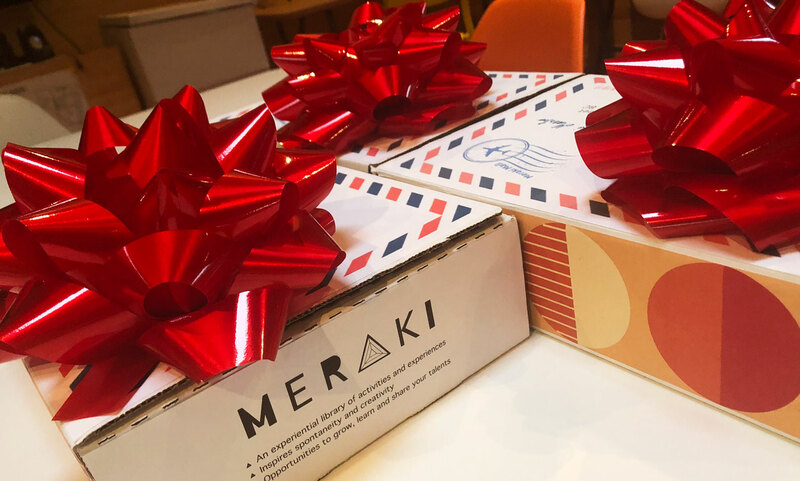 Meraki is a Greek word meaning doing what you do with soul, creativity and love. This is the inspiration behind a subscription service consisting of DIY kits, prompt cards and interactions designed to disrupt everyday routines and bring more joy, beauty, creativity, human connection, and personal courage and agency into the world. We’re looking for a product/service designer to help ideate and iterate on Meraki interactions and related/evolving products, and to design the roles and processes for delivering/distributing them. 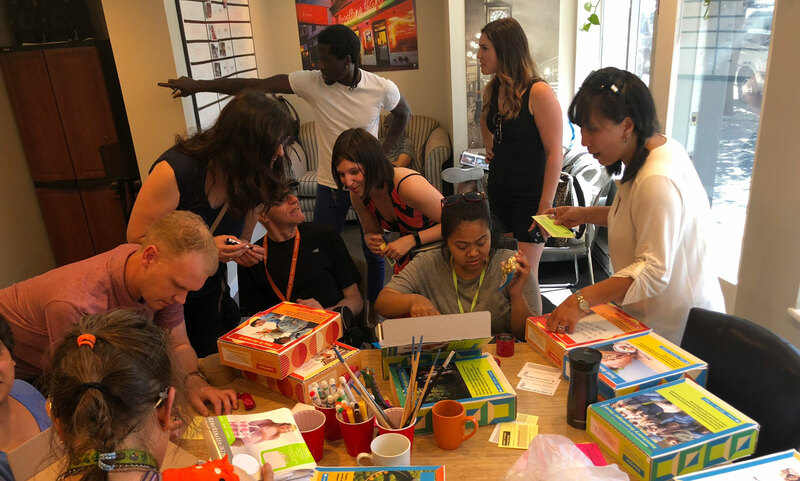 If you love building something inspiring from the ground up, rapidly iterating based on user research, and hanging out with some pretty awesome people doing some really cool work—this role is for you! 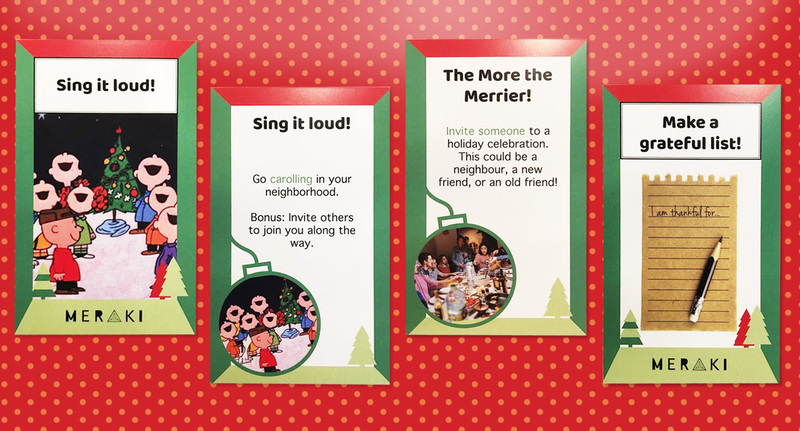 In addition to a community crawl, tie-dying and sushi-making kits, here are some examples from our first Meraki prototype of a seasonal card pack. Engaging in research, ideation, visualization, prototyping and codification/ blueprinting. Applying a user-centered design process for everything; it’s all about the people using Meraki. Designing and delivering user journeys and mock-ups for a variety of face-to-face interactions. Making, printing and assembling products that sit within the Meraki journey. Gathering data to inform design decisions, including the use of ethnographic observation and interviews. 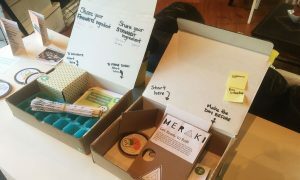 Facilitating involvement of interested users and stakeholders in the ideation, assembly and testing of Meraki. Participating in Grounded Space 2.0, InWithForward’s Research and Development space. 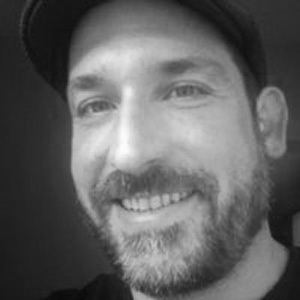 Assisting us to build a Meraki profile in social media and at conferences and events. Assisting us to capture learning in blogs, podcasts or other media. Reporting to the Director of Innovation at posAbilities and taking direction from InWithForward lead designers. You have a track record co-designing and prototyping products and services. You understand the interplay between products and services and can toggle between the small details and the bigger picture. You’re adept at user-centred design research and are comfortable interacting with users with intellectual disabilities — including users who may not be verbal. You’re really good at giving feedback and showing others how to do something. You’re a maker at heart. You love to get physical but can also go digital. You’re able to mock-up concepts quickly. But you definitely don’t just make things look pretty, you engage with the content. You’re curious and humble, but you’re also not afraid to step in, assert your point of view, and clearly communicate with others. You’re a motivated, self-starter who likes working at a fast-pace, and can break down big ideas into smaller bits. You take initiative. You step in where necessary. You’re a great team player. 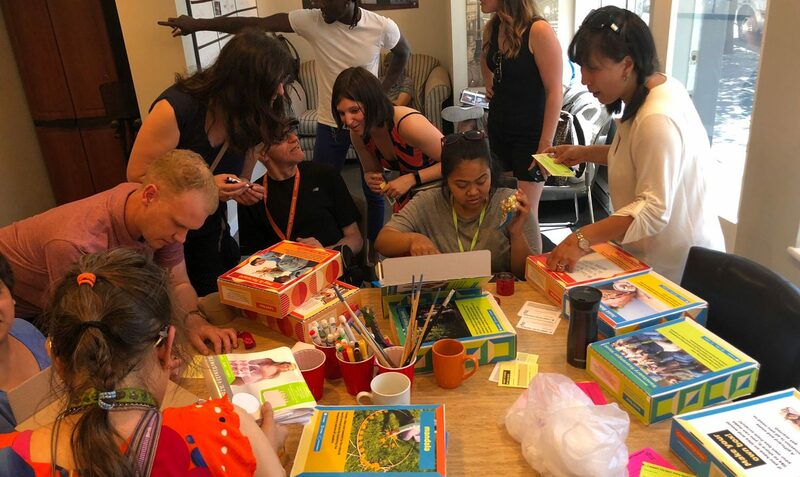 You have some previous experience collaborating across disciplines — for example, with social scientists, community members, designers, developers, and other team members. You’re super open to learning more and incorporating new social science tools and practices into your repertoire. You can organize, plan and think strategically as well as keep projects moving at a fast pace. You are a strong visualizer and can produce documentation to support your design work. You have a strong work ethic and are passionate about making things that matter in this world. Portfolio which demonstrates knowledge of service design. Minimum of 2 years of experience in different types of workplaces. Willing to be based in Metro Vancouver. Proficiency with current design tools such as Adobe InDesign, etc. Knowledge of 3D Printers and related software a bonus. Send us your portfolio – highlight what you’re most proud of, and what your role on the team was. Make us something that shares why you think we’re a good match. Why is this role right for you, and why now? Send us a sample of your writing, e.g. blog, essay, article, brief, report, etc.